You are near East Lake Nokomis Parkway and 56th Street. This is a crowd at an event here, the Minneapolis Aquatennial's milk carton boat race. There are bleachers to the left, facing the lake which is out of frame to the left. Tom Thumb, a local convenience store, is a sponsor of the event. 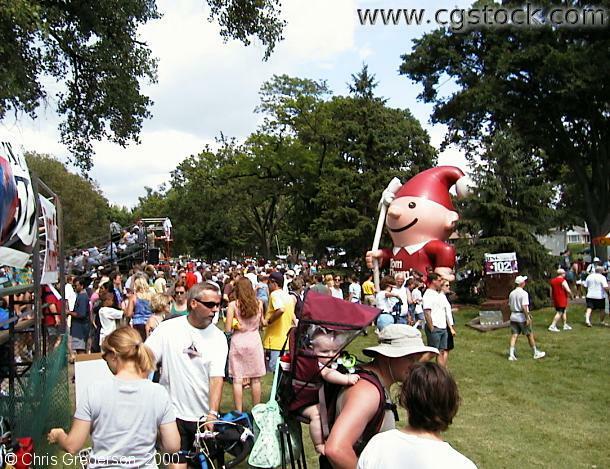 The inflated red elf on the right is their mascot.